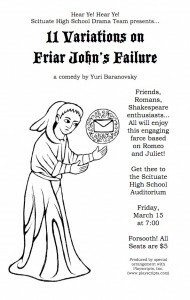 The High School Drama Club will perform “11 variations on Friar John’s Failure” Friday, March 15 2012, at 7:00PM. 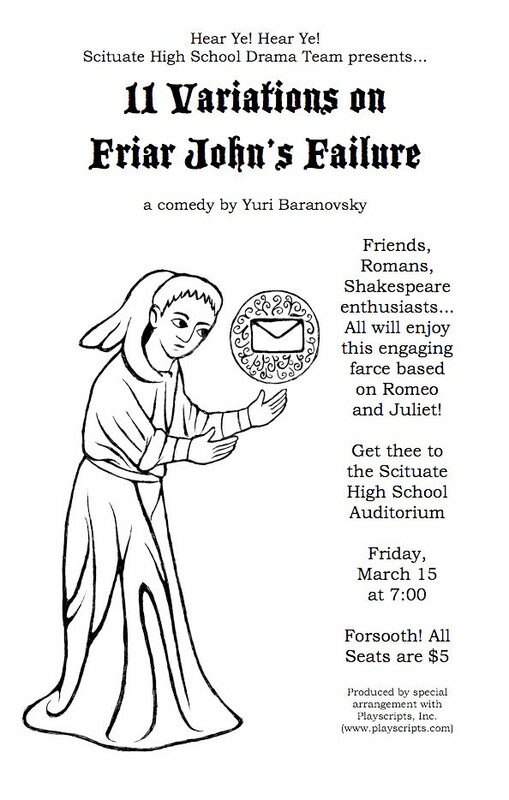 It is a comedy that explores the possibilities of the undelivered letter that lead to the death of Romeo and Juliet. This play showcases many Swampers you know and love.